The premier online traffic impact analysis software. The intuitive user interface in OTISS Pro guides you every step of the way, reducing the learning curve and boosting productivity. Smart features significantly reduce time spent preparing new projects or evaluating existing ones. OTISS Pro helps you perform various ‘what-if’ scenarios in only seconds based on a specific or different land uses. Traffic engineers will recognize a familiar work flow and the features and benefits of OTISS Pro just makes projects easier to finish. 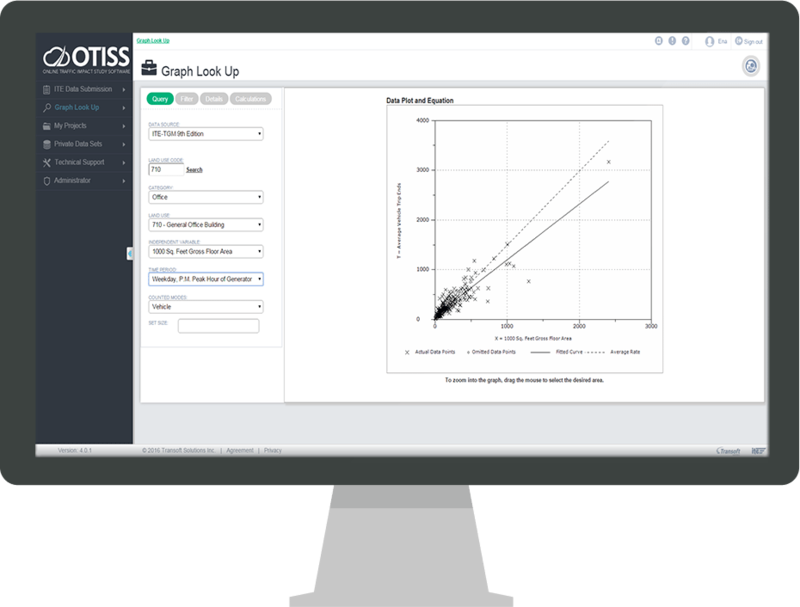 OTISS is an add-on application for traffic and transportation engineers who need to perform traffic impact assessments.